Health risks – Did you know that as much as sixty percent of the air in your house comes directly from your basement. If there is mold in the basement due to too much moisture your family will be breathing it in and be at risk of suffering from respiratory diseases. Loss of space – Your basement can be renovated and used by family members, however, many times when a space is leaking people tend to avoid it leading to loss of great space. 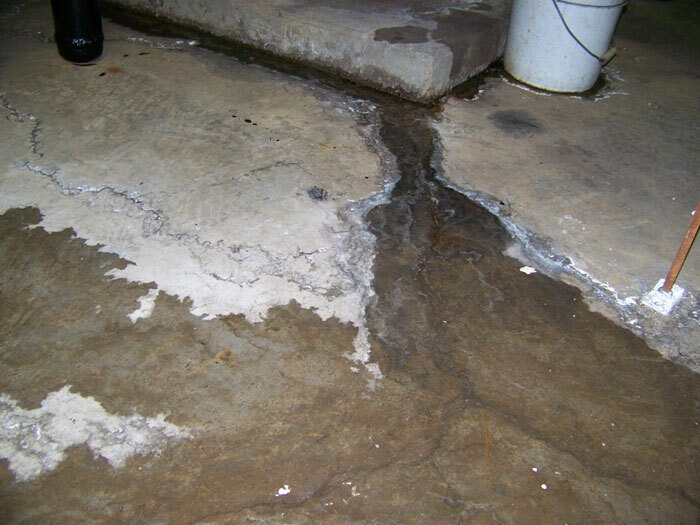 Damage to the foundations structure – The risk of structural damage cannot be ignored. The wood joists as well as other fasteners end up losing their strength as a result of corrosion and rot. This compromises the foundation’s structure. Home value decreases – When a home inspector comes out to look at your home and discovers that your basement is leaking, you can be sure that the value of your home will drop. This is not ideal especially if you are looking to sell any time soon. Drainage – You have to make sure that the drainage is well maintained. This means ensuring the repair and cleaning of gutters and ensuring that your downspouts are not too close to the walls of the house. Grading – Ensure that your landscaping is graded so that there is no standing water and water is directed away from the walls of your foundation. Sump pump – Get one of these and make sure to have a great interior drainage system. It is the ultimate solution for your leaky basement. Waterproofing – Make sure that an inspection is carried out before the waterproofing is done so as to ensure proper technique. Additionally, make sure that a professional does the work. Clear the bushes – If any of these are close to the house, have them cleared. They tend to retain water which then seeps into the basement. Additionally, their roots can cause cracks.